BBC Radio 4 - The Infinite Monkey Cage, Series 8, What Is Death? Brian and Robin are joined by comedian Katy Brand, biochemist Nick Lane and forensic anthropologist Sue Black to discuss why death is such an inevitable feature of a living planet. 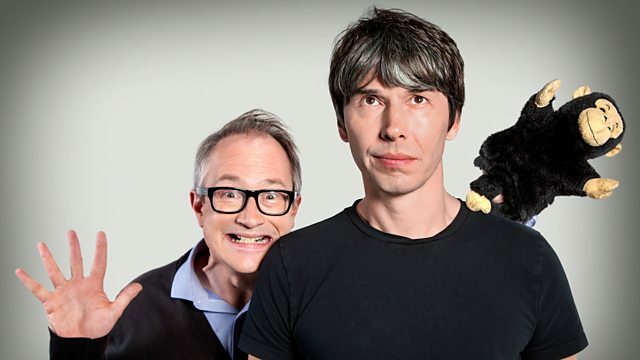 In the first of a new series of the award winning science/comedy series, Brian Cox and Robin Ince are joined on stage by comedian Katy Brand, biochemist Nick Lane and forensic anthropologist Sue Black to discuss why death is such an inevitable feature of a living planet. As well as revisiting such weighty scientific issues, such as when can a strawberry, be truly declared to be dead, they'll also explore the scientific process of death, its evolutionary purpose and whether it is scientifically possibly to avoid it all together. Prof Brian Cox, Robin Ince and guests ask intriguing queries in The Infinite Monkey Cage. Why doesn’t morphine hasten death in the dying?